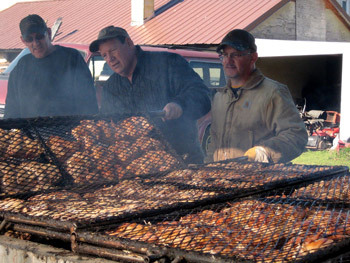 Like the last 10 years, The Barker Lions Mother’s Day Chicken Barbeque will have presale tickets. Presale helps in two ways. We know the chickens are sold and those who purchase them know they will have guaranteed dinners for Mother’s Day. Chicken Barbecue dinners will be at the Lions Youth Building on Main Street in Barker. Dinners are $10.00 presale. $11.00 at the door. Dinners will be available at 11:30 till gone. Presale dinners will be held till 1:00 (so they will be available from 11:30 to 1:00). We are only doing 400 dinners and printing 400 tickets. The Barker Lions are also continuing their American Flag sale. Made by the Visually Impaired at the Olmsted Center in Buffalo, these are durable nylon flags. The 3 foot by 5 foot flag is $29 and the 4 foot by 6 foot flag is $37. The flags will be available during the chicken barbecue or by using the contact information below. If you have questions or need any more tickets, call Jim Bittner at Bittner-Singer Orchards 778-7330 or on his cell phone 417-3173. 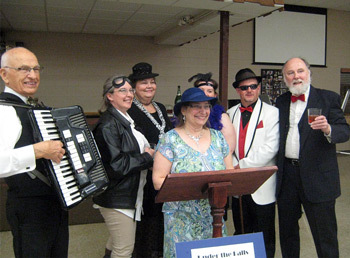 Watch this page for events sponsored by the Barker Lions Club or check the Barker Lions Facebook page. From a past Lions Chicken BBQ! 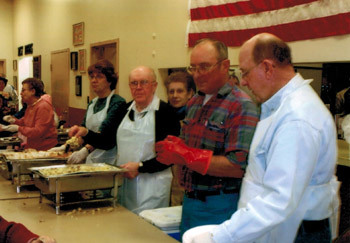 From a past Lions Pancake Breakfast! 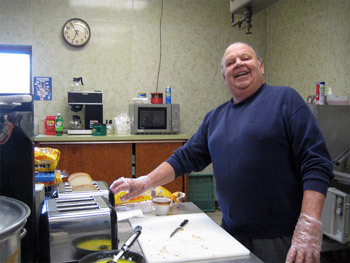 Lion Past President Frank Eldridge making toast at a recent pancake breakfast.